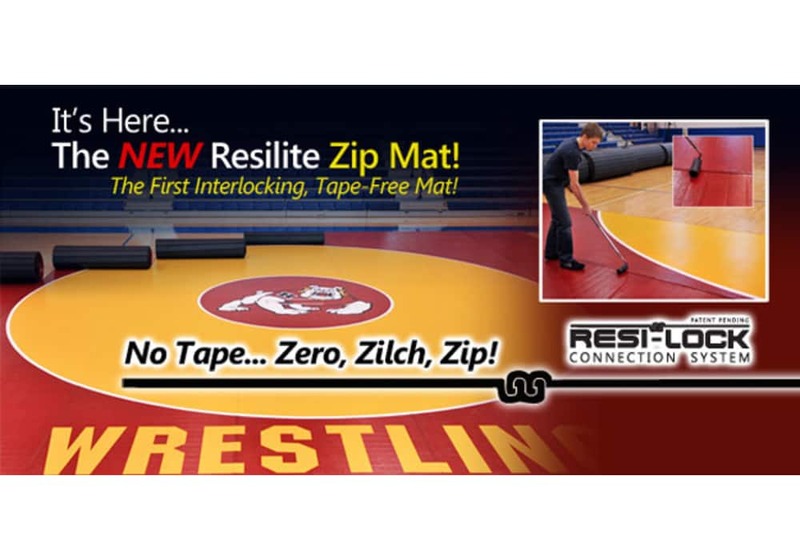 Zip Wrestling Mat - Tape-free alternative to traditional taped mats. Hurray, no more tape! 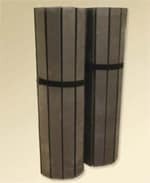 This tape-free Zip mat has the new and innovative Resi-Lock Connection Track. Just "Zip" the two halves together. Includes care & handling instructions. Also includes 2 Packets (10 ml) of 303® Aerospace Protectant for lubricating the Resi-Lock Connection Track. 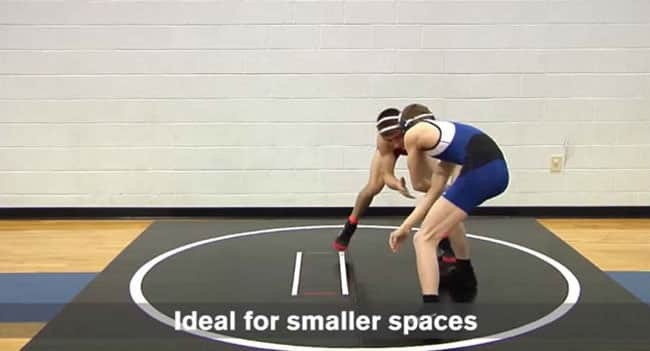 Our new, innovative, tape-free practice wrestling mat, uses patent-pending Resi-Lock Connection System. This unique connection technology, is the first and only interlocking mat connection system available. The Zip Mat completely eliminates the need for mat tape and locks together fast and secure. 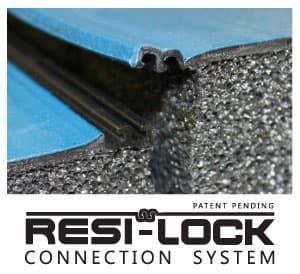 The Resi-Lock Connection System creates a Strong, durable & secure mat seam.The Zip Mats are manufactured with an exclusive, hot-sprayed, polyvinyl painted coating (not a vinyl fabric covering like other mats). This gives you a long-lasting and durable surface providing the look, feel, and durability of a traditional wrestling mat surface. 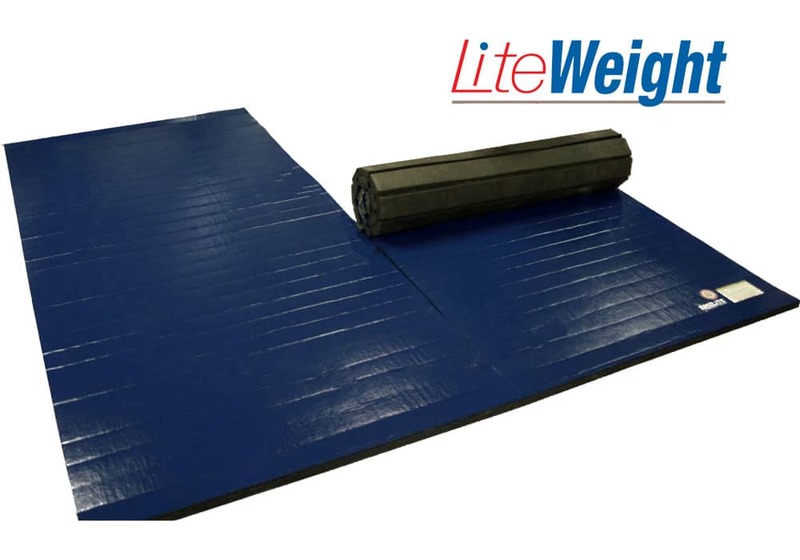 The closed cell, cross-linked, polyethylene foam has flexible tambour slits on the bottom side, allowing for easy set-up and making this an ideal wrestling mat for the home or anywhere else you want to practice, especially if portability and storage are an issue. Features 1-5/8" thick polyethylene foam to absorb impact, making this a great wrestling mat for kids or adults alike. 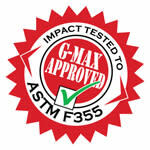 Our Zip Mats comply with ASTM impact standards. The Zip Mats are designed and manufactured to meet or exceed the ASTM F1081 wrestling mat impact standard in accordance with ASTM F355 "Test Method for Shock Absorbing Properties of Playing Surface Systems and Materials. No mat tape needed saving valuable time and money. Fast and easy set-up and tear down. 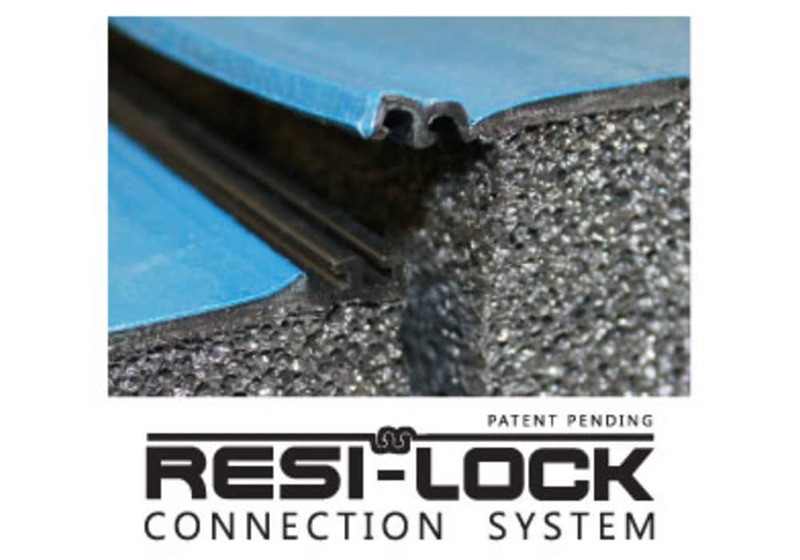 Resi-Lock Connection System Creates a Strong, Durable & Secure Mat Seam. Easier to clean & disinfect - unlike hook & loop (like Velcro) fastening systems which can trap liquids, dirt, hair and other debris. 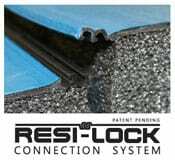 The Resi-Lock Connection System creates a military-strong, waterproof seal. Includes: Care & handling instructions. Two-Piece sets also include 2 Packets (10 ml) of 303 Aerospace Protectant for lubricating the Resi-Lock Connection Track. 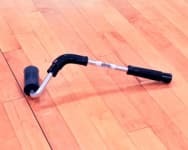 To avoid the hassle and expense of using tape to connect the mat sections in situations where the mat must be set up and removed very frequently (e.g. daily). In physical therapy and sports rehab, a large floor surface that is firm enough for walking rehabilitation but still soft enough to provide fall protection. 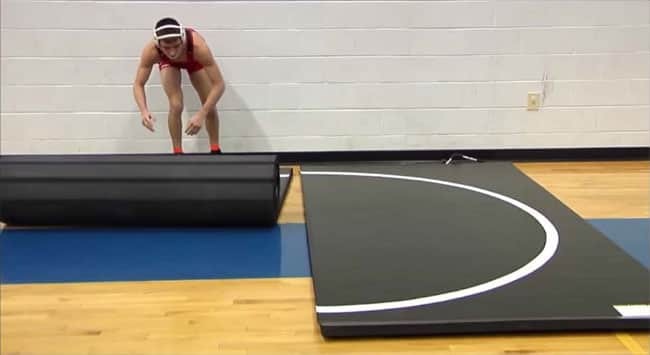 How To Store Your Wrestling Mat Roll with the vinyl surface inward - Always roll and unroll the mats in this way. 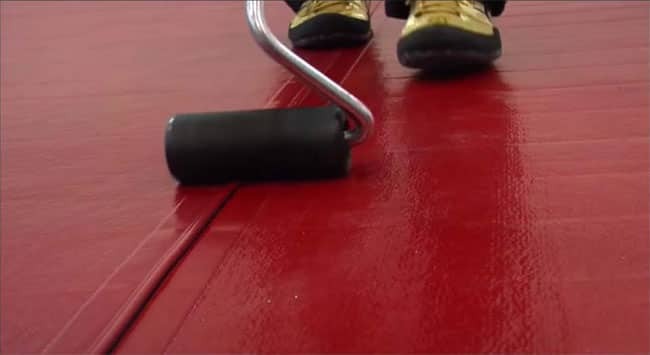 Forcing the mat to roll in the opposite direction will damage the mat foam and vinyl surface. The mats should be stored upright, standing on end with the "male" side up, on a smooth, flat surface.